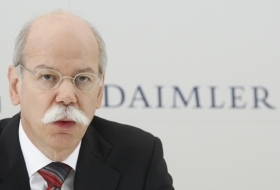 Daimler "will continue to consistently prioritize integrity as a key element of our corporate culture," CEO Dieter Zetsche said in a statement. Daimler AG is adding an integrity and legal officer to its management board just months after the company agreed to pay $185 million to U.S. authorities in a bribery case. The company said the position will be filled externally and the new board member will oversee all legal and compliance matters and business ethics worldwide. This year Daimler agreed to $185 million in civil and criminal payments to U.S. authorities to settle allegations that bribes were paid to increase sales in at least 22 countries. Court documents stated Daimler had engaged in a longstanding practice of paying bribes through “third party accounts,” resulting in hundreds of improper payments to foreign government officials. Under the settlement, Daimler also agreed to have former FBI Director Louis Freeh monitor its compliance with anti-bribery steps for three years. Daimler "will continue to consistently prioritize integrity as a key element of our corporate culture," CEO Dieter Zetsche said in a statement. "No business in the world is worth violating applicable laws, regulations or ethical standards."